Richard Parncutt: How ethical are university ethics committees? How ethical are university ethics committees? Today, most universities have an ethics committee, whose task is to evaluate ethical problems in relation with research with human participants, as well as personal data. That includes issues of personal choice and privacy. Risks to participants, researchers, and the university should be minimized. The dignity, rights, and welfare of all involved people should be respected, as should the law. Special care is necessary when working with minors or people with disabilities. These committees are generally called "Ethics Committee of the University of X", suggesting that it is their task to consider any ethical issue surrounding university activities of any kind. Do they do that? Ethics committees are of course necessary and important, and it is encouraging that they have become standard in recent years. The problem is that they tend to focus only on problems for which the university could be held to account within a time span of a few years - the duration of academic posts such as vice-chancellor or director of research - and within the university's home country. They tend to avoid more serious ethical problems for which universities cannot realistically be held to account because they are too distant in space and time. In space, they may be distant because they cross national or continental borders; consider the indirect effect (positive or negative) of university activities on poverty in developing countries. In time, effects may span decades or generations, such as global warming or other forms of environmental degradation. The failure of universities to consider ethical issues across larger distances in space and time contradicts references to the importance of internationalism and long-term planning in policy documents such as mission statements. All of this suggests that the motives of ethics committees may not be altruistic at all. Instead, the primary function of an ethics committee may be to prevent the university from being sued. If ethics committees really cared about ethics, which from a utilitarian point of view means caring about human rights, their priorities would be rather different. From a human rights perspective, the most serious problems facing humanity in the early 21st century are poverty and climate change, as I have explained elsewhere. Universities belong to an elite group of institutions that are in a good position to solve these problems, or contribute to good partial solutions. If they fail to do that, they are ultimately co-responsible for the outcome. This is primarily common sense, but it is also a general interpretation of the legal principle known as "duty to rescue". Everyone can do good things for the world, but academics, with their training in research and teaching and their international communication networks, are in a much better position to make a positive contribution than the average person. Universities have extraordinary potential to identify, understand, and constructively address the biggest problems of our time. That implies a far greater responsibility ethics committees are usually preparerd to discuss. Let us begin with poverty. Every day 20 000 children die of hunger, curable disease and preventable disease. This is a far more shocking statement than anything you will ever read in a newspaper, but it is true. These 20 000 dead children really exist, every day. What has that got to do with universities? An awful lot, as it turns out. Consider the academic discipline of economics. The economists are in a good position to understand and explain the global economic processes that are allowing poverty to be maintained in a rich world: tax havens, protectionism, foreign exploitation of natural resources in developing countries, and the failure of rich countries to meet their development commitments. From a human rights perspective (and what other perspective is there? ), these issues are the most serious issues of all. It follows from an ethical viewpoint (the viewpoint that ethics committees are supposed to represent) that universities have an inherent moral obligation to prioritize teaching and research about global poverty, so that students are in a position to do something about it themselves after they leave the university, or so that the main research findings in this area will more often appear in the media, to help politicians address the problem constructively. If university ethics committees cared about ethics, they would repeatedly remind universities of this responsibility and obligation. If anyone ever had any doubt about the truth of these claims, s/he would merely have to experience the death of just one of those 20 000 children, who really are dying every day, to be convinced. This is not some kind of wild, emotional, subjective statement. The truth is the reverse: those who refuse to take such a statement seriously are in denial, which from a psychological viewpoint is a kind of wild emotional subjective state with serious consequences. People in denial have access to the truth but find it too uncomfortable to accept. So they reject it, insisting that it is not true in spite of the evidence. That's pretty wild and emotional, if you ask me. If they are merely in passive denial, they just avoid the topic, hoping it will go away, or invent excuses for not considering it. If the seriousness of denial is measured by the consequences, then the most serious forms are denial involving the responsibility of rich countries for global poverty and climate change. It should be the task of ethics committees to break through such serious forms of denial. The other crucial ethical issue of our time is climate change. Our knowledge about climate change comes mainly from universities. These institutions are also optimally placed to consider the implications of that research: how exactly greenhouse emissions are going to be rapidly and drastically reduced, because according to the research that is the only option that we have. It follows that every university should be urging governments to push the energy revolution forward more quickly, citing the research results; internally, every university should be reducing its carbon footprint more quickly, as an example for others to follows. That includes cutting down on flying in aeroplanes. In fact, university employees are flying more and more each year, as if climate research did not exist and the future did not matter, and universities are encouraging them to do it. I wish to argue that these are the main issues that university "ethics committees" should be considering. They are certainly ethically more important than the detail's of someone's psychological experiment. To worry about the minor problems and risks experienced by a modern experimental participant and completely ignore the tragedy of poverty in developing countries seems remarkably like racism, when you realise the most of those experimental participants are likely to be white and most of those dying in connection with poverty (created indirectly by the rich countries) are black. To worry about such small internal problems and forget that our research activities may be contributing to the possible future destruction of humanity, or at least to the destruction of our high standard of living for future generations, is wrong headed in the extreme. There are refreshing exceptions, but they do not seem to be very common. In 2014, the Norwegian National Committee for Research Ethics in Science and Technology told universities that oil research can be unethical. 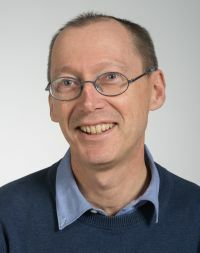 Many universities are stating, sometimes in documents labeled "ethics" or "ethical", that they are reducing their carbon emissions; but generally flying in aeroplanes and driving in cars is conveniently omitted from the calculation, and hardly anyone is directly talking about the main problems directly. When university student associations have their own ethics committees, they tend to be more concerned about global poverty and global climate than the official university ethics committees. The opinions expressed on this page are the authors' personal opinions. Suggestions for improving or extending the content are welcome at parncutt@gmx.at.